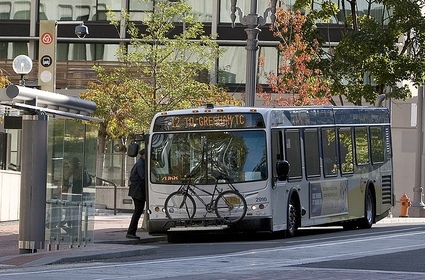 Ridership on TriMet buses continues to climb following the agency’s first service expansions since the great recession focused specifically on increasing trips and improving reliability on bus lines. Between July 1, 2013 and June 30, 2014 (FY 2014), TriMet provided 98.8 million trips, 60 million on fixed route buses. That’s up slightly over FY 2013. Ridership figures in recent months show the rise in bus ridership continuing. During the summer 2014 quarter (June – August), average weekday bus trips increased eight percent over the same time period the year before. In FY 2014, TriMet invested $5.2 million to improve bus service, expand Frequent Service on buses and add a new bus line. The service improvements continue. In September 2014, we dedicated $5.5 million to increase bus and MAX service, and we will be adding another $1.6 million in service improvements this coming spring. WES Commuter Rail continues to gain riders each year. WES provided more than 512,000 trips in FY 2014, a 15.9 percent increase over the previous year.